SINGAPORE (CelebrityAccess) — In another sign of what appears to be a dire financial situation at Gibson, the iconic guitar maker appears to be shedding assets. On Friday, Singaporean digital audio company BandLab announced that they’d acquired the complete intellectual property of Cakewalk Inc., makers of the influential professional digital audio production suite from Gibson. “We are very excited to be bringing Cakewalk Inc’s products into the BandLab Technologies stable. 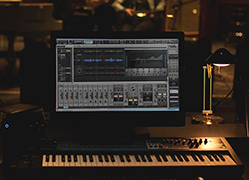 Cakewalk has been an industry leader in professional music software, delivering cutting-edge technology that has empowered producers and artists alike around the world for more than 30 years. We have immense respect for Cakewalk’s legacy and the incredible community of people who love the brand and rely on its products in both their personal and professional lives,” CEO of BandLab Technologies, Meng Ru Kuok said. The deal includes only the transfer of Cakewalk Inc.’s assets and intellectual property. No other details about the deal, including the valuation of Cakewalk’s assets have been released.